Kick back and relax in this edit of super-chilled pants from the Nocozo label. This brand is a loungewear lover, so expect ultra-loose fits and pared-back styles you can mix and match with other favorites in your basics collection. 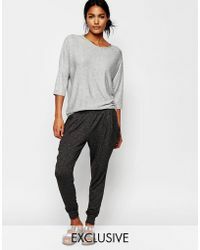 Choose from tracksuit pants, to roomy harem pants and stretchy leggings for your Namaste moments.